Explore the Sinai wilderness with Israel during the 40 years after the exodus, find your way with Paul across the Mediterranean Sea on his journey from Corinth to Ephesus, and track the events that led to the dissolution of Solomon's kingdom with the illustrative and detailed HarperCollins Atlas of Bible History! 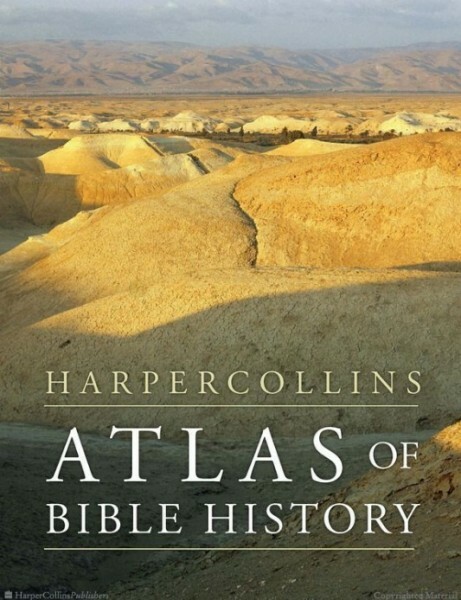 With over 100 vibrantly-colored maps, city plans, archaeological charts, and imaginative illustrations of ancient kingdoms, this detailed atlas will expand your understanding of the events unfolding within and around the kingdoms of biblical history. Following the biblical narrative across over 6,000 years of history, the HarperCollins Atlas of Bible History provides the most up-to-date maps, charts, and timelines in amazing detail on your mobile device. An eye-catching page turner, this e-book has now been made available on The Bible Study App, bringing you the full features of our software in this essential atlas and guide to Bible history!